Visit Fairfax recently unveiled new technology and exciting visual experiences at the official Fairfax County Visitor Center, which is located inside Tysons Corner Center. 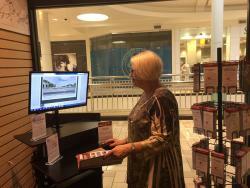 Stop by to try out the new virtual reality headsets, watch a new destination video, and browse numerous 360-degree images on a virtual tour of the county. 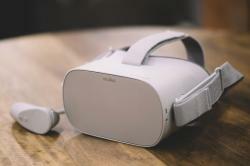 Virtual reality headsets offer a 360-degree view of Fairfax County’s major attractions, enticing travelers to extend their stays for a first- hand look on their own. At the new interactive workstation, guests hear the stories of locals as they provide inside information about their favorite attractions and locations. On the “big screen” in the Center, the new Visit Fairfax destination video will surely inspire everyone to explore the sites and sounds of our great county. Of course, the Visitor Center counselors are always on hand to provide customized itineraries, directions, and tips for maximizing time and fun. The Center is located on the second level of Tysons Corner Center on the Nordstrom wing, and is open Monday – Saturday from 10 – 6 and on Sunday from 11 – 6. Counselors can be reached at 703-752-9500.